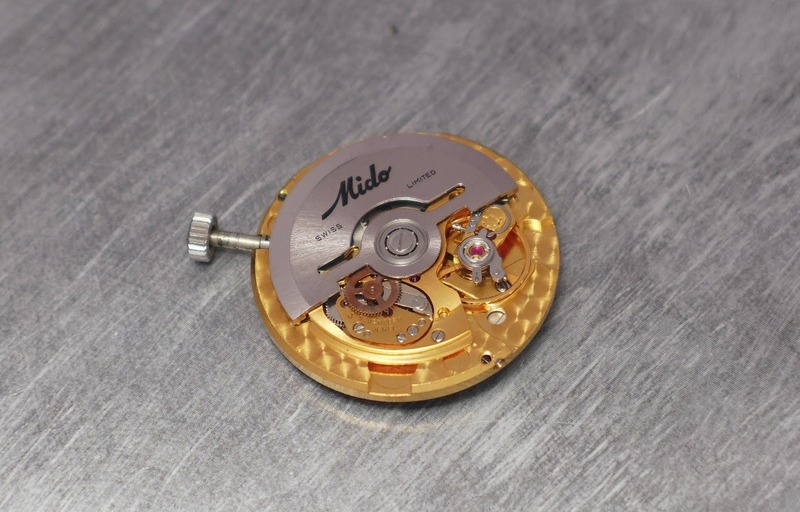 Mido Powerwind Ocean Star Diver Ref 5907: A quick review. There are some positive accidents, in life. I noticed a strange vintage diving watch in the window display of a famous parisian watch dealer, in... 2010. The watch in question? 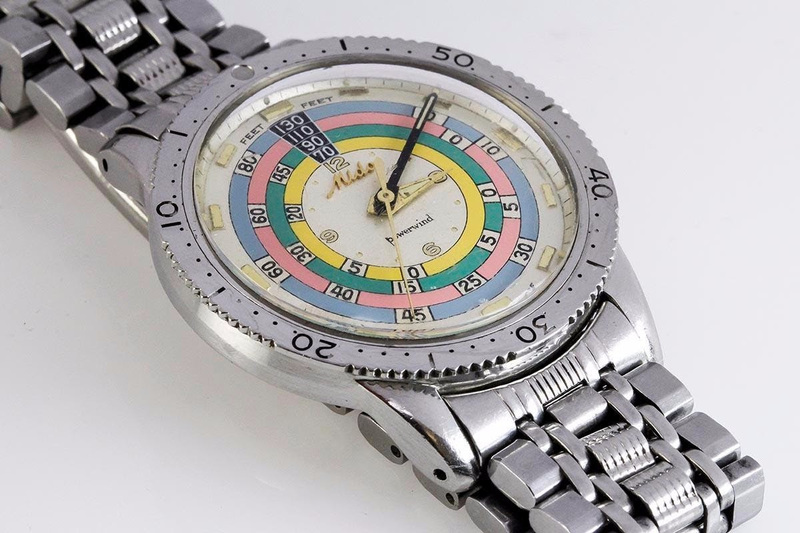 This Mido Powerwind Ocean Star Diver. So, I made an offer, and it was mine. It's been in my collection since 2012, for 6 years, now. From time to time, I did some searches, to see if I could find some informations on that model, but I found very few conclusive informations, sadly. 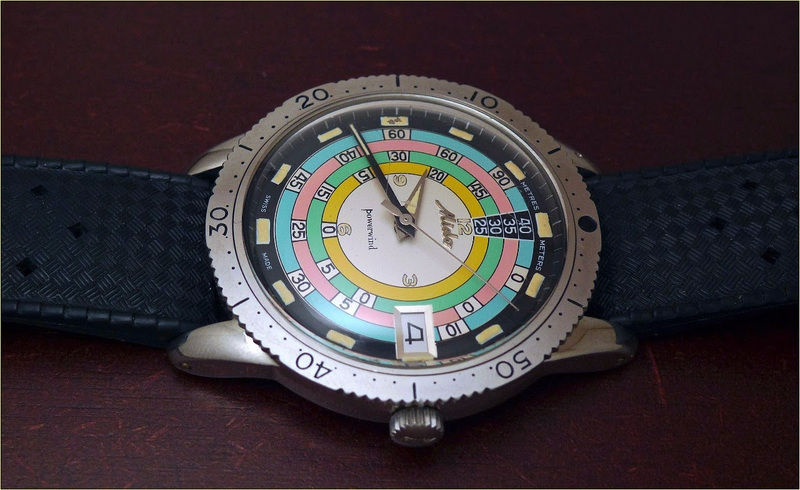 So, this review will reflect my owner's feelings, I will explain you why I decided to make the plunge on that watch, and I will include some informations I found. 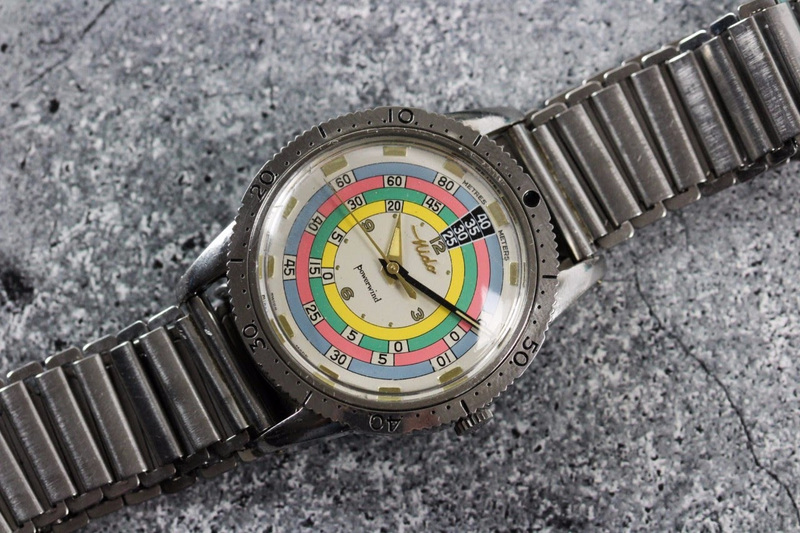 First of all, this is a very nice looking watch: Colorful, fun, original, with its dial and hands. 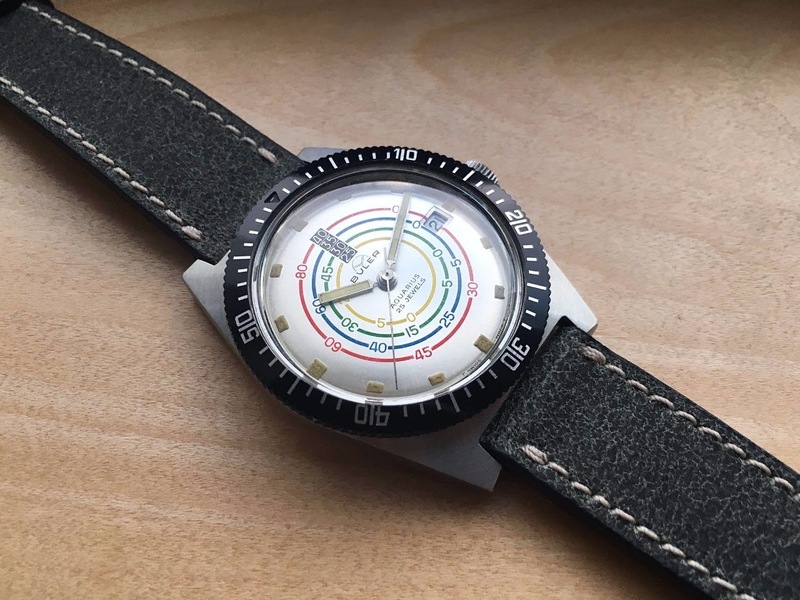 The dial came in several versions: White or Black outer part, with or without date. Both the white and the black dials had meters and feet measures. It seems that the no date version first came, in 1959, and that the date version was introduced circa 1962. 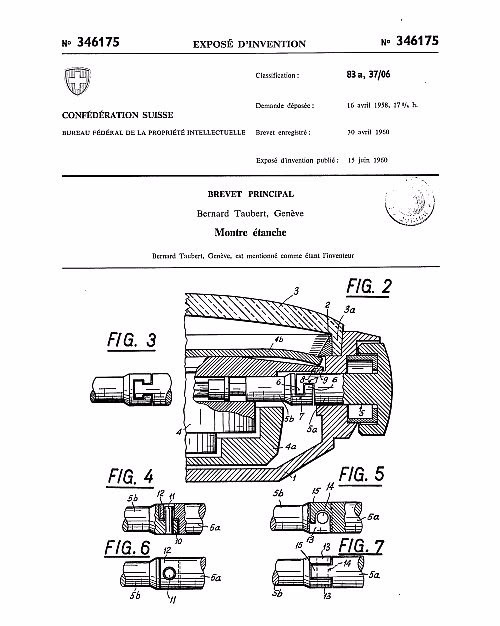 The 5907 was discontinued in 1965. 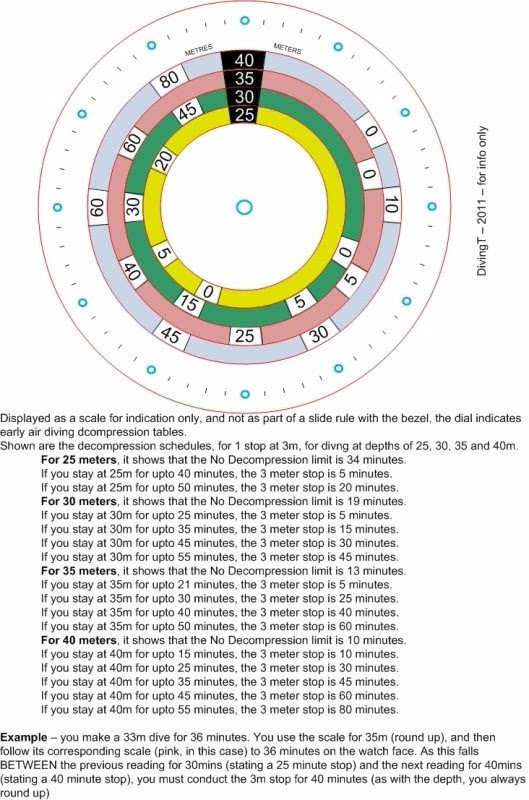 The second reason is that this watch is friendly, as the dial displays a decompression scale, which is useful for divers. 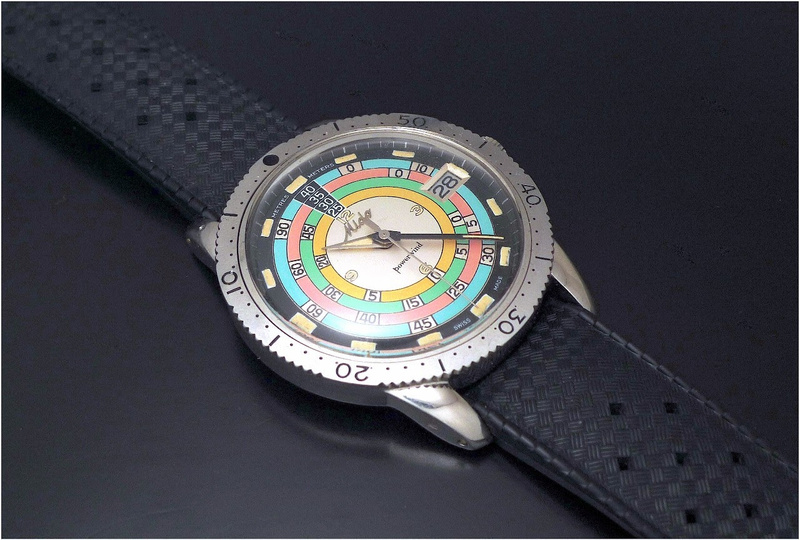 Only a few brands offered a decompression scale in a watch: Vulcain comes to mind, of course, with the Nautical as soon as 1961, Buler with the Aquarius from the late 60's early 70's, Cornavin Genève Ref 118, and this Mido Powerwind Diver. The decompression scale doesn't turn. It is more a reminder of the decompression time. As you can notice, the rectangular indices located each 5 minutes, the 3 / 6 / 9 / 12 are luminous ( tritium ) as well as the hands. Speaking about the hands, they also have a special shape: A kind of short but large Dauphine for the hours, long and slim black hand for the minutes. I never saw that elsewhere, as far as I know / remember. 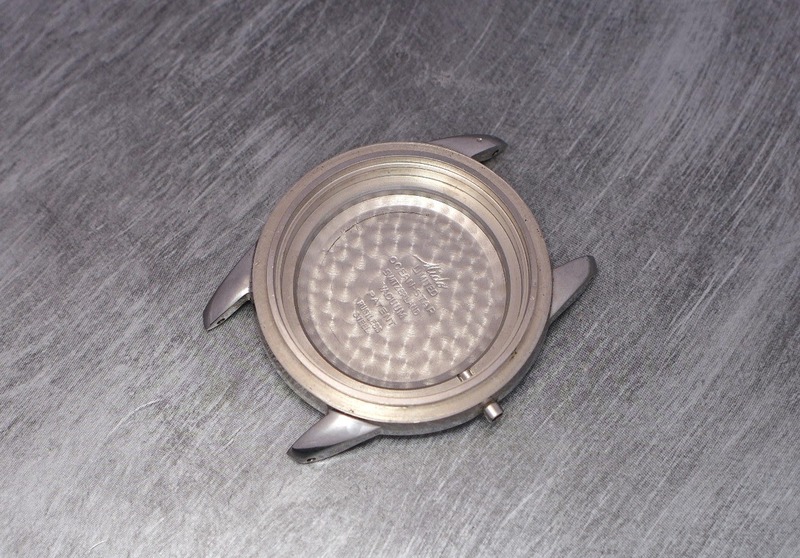 This case is perfectly sized, at least for me, with a diameter of 38 mm. The crown, which is signed, is not screw in. 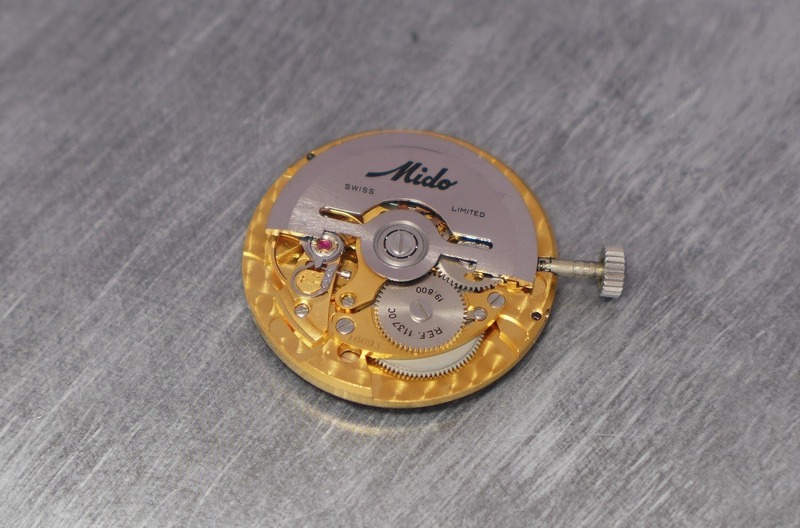 The case back gives the main characteristics of this watch: Self winding, anti magnetic, shock resistant, and, of course waterproof, guaranteed to 1000 feet / 300 meters... Which sounds a bit optimistic, the crown not being screw-in... Add a detail we saw on other vintage watches... The diver in action, engraved on the case back, like on the Longines Diver and the Jaeger Lecoultre Deep Sea Alarm! 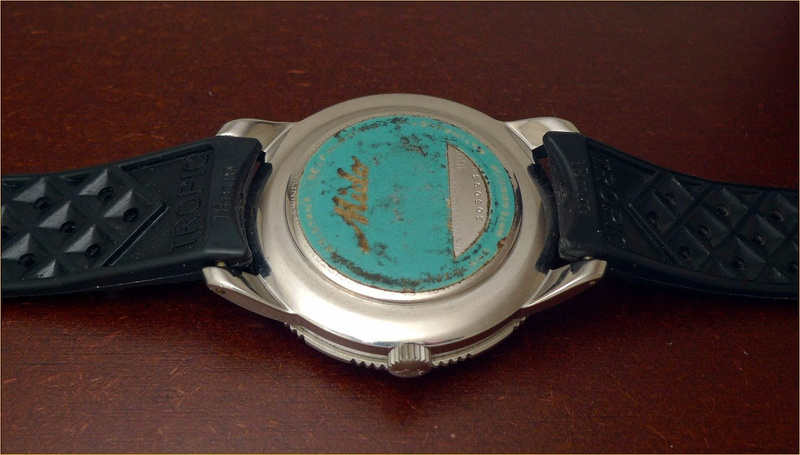 Here is another picture showing the case alone, once everything removed, which will give us an information about the name of this watch: " Ocean-Star ". Another information is written: " Limited ". I don't know the true meaning of limited. Edition, production? 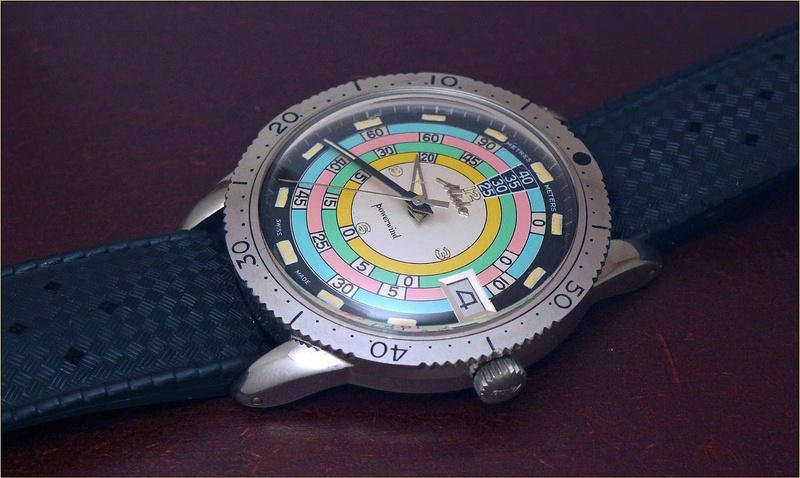 The name " Ocean Star " is relative to a line of watches, a bit like the Memovox for Jaeger Lecoutre. it is not the name of this specific model. It also came with a Mesh bracelet, originally, with a signed buckle. 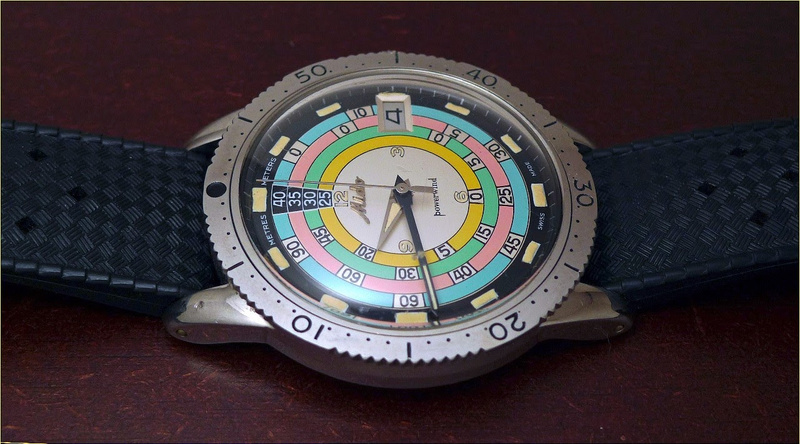 So, as a vintage diving watch fan, you now understand why I am happy to own such a specimen, which is a part of the diving watch history due to its specificity. If you have more informations on this watch, please feel free to add them! Thank you Nico Very enlightening review.. I like your black dial more than white dial. It is giving me more excitement and sense of dimensionality. The only thing I would have preferred is the no date version. Thanks, G.M. 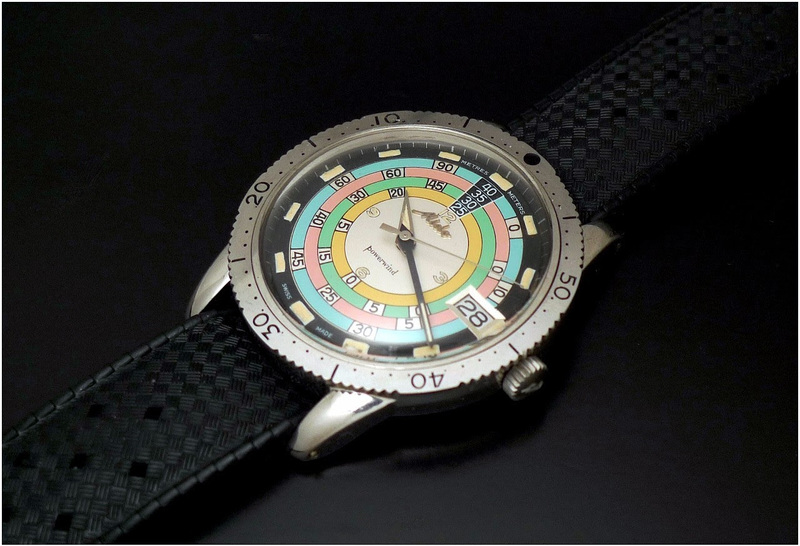 Great review of an interesting and attractive vintage watch. I agree the black one seems the most attractive and the colours seem to stand out better. The decompression set up seems very complicated to me; I would have been out of air by the time I worked it out! Regards Kev. Thanks for your comments, Kev. 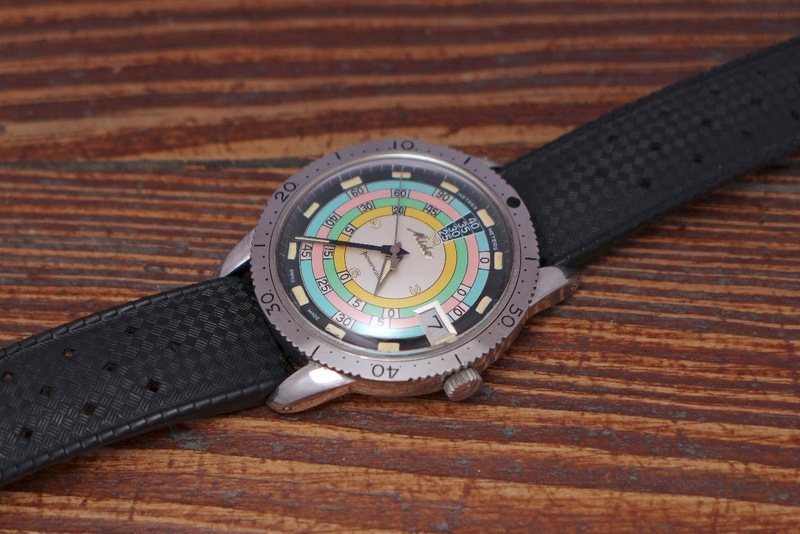 There are a lot of thing to learn about these vintage divers. No wonder why it is a passion for me. 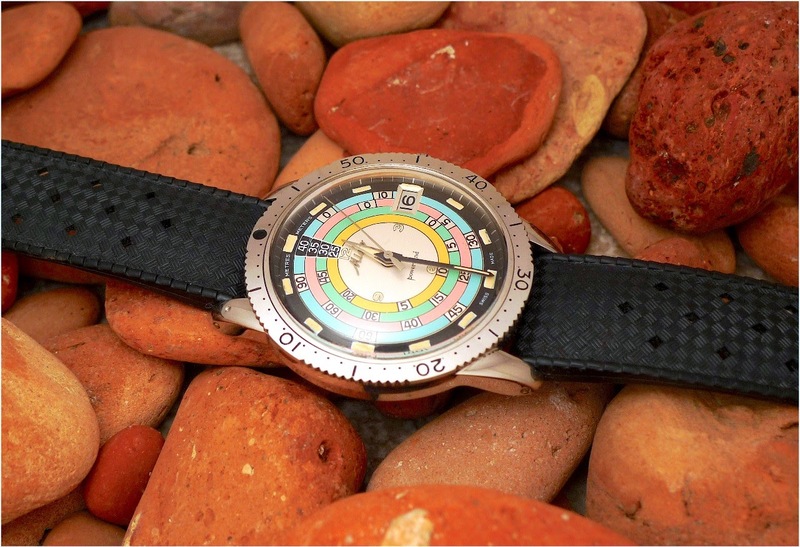 One of the best era for diving watches! Thanks, M4. Gracias Nico, mucho material por un reloj tan raro y bonito! Gracias a ti, amigo Walter.